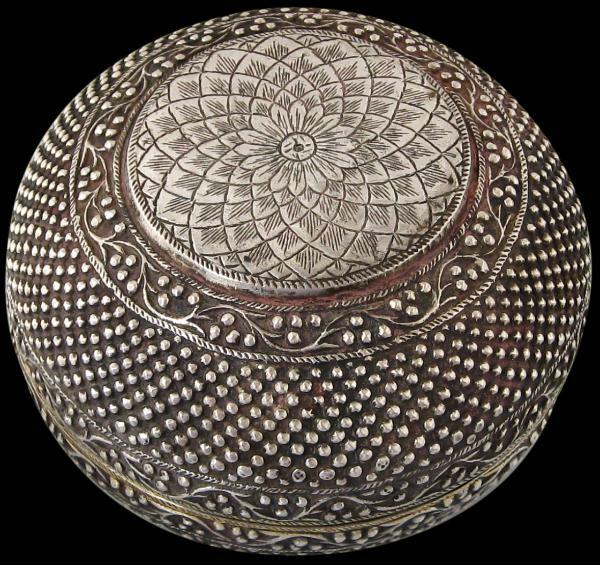 This pleasing silver and gilt spherical lidded box is repoussed with two broad bands of nodules, giving it an overt tactile quality. 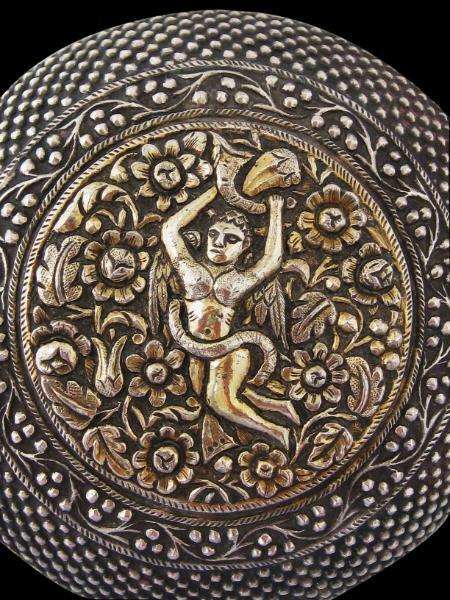 The top is repoussed with a winged angel surrounded by a profusion of flowers and foliage. The angel appears to hold aloft a cornucopia. This central scene is fire gilded. Further gilding has been applied to two bands that follow the rims of the top and bottom halves of the box. 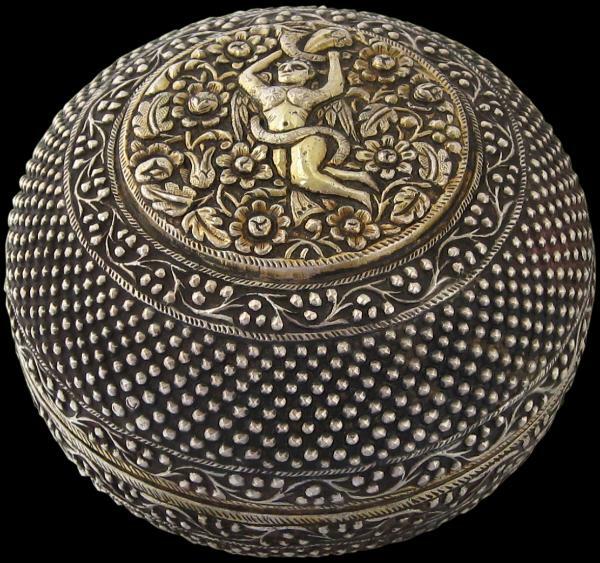 There are four bands of repoussed scrolling foliage and the base has been very finely engraved with a multiple-petaled lotus motif. The box shows French influence, hence the likely attribution of either Pondicherry (now known as Puducherry) or Trichonopoly (Tiruchirappalli). Both cities and their surrounding regions were under French control in the eighteenth century. Trichonopoly was captured by the British in 1761. Pondicherry largely remained in French hands until 1954. Both cities retain a strong Christian character. Both have numerous colonial churches and mission buildings. Trichinopoly is said to have more churches than anywhere else in India. Among these are the Our Lady of Lourdes Church and the Cathedral in Melapudur, both built by the Jesuits. The Jesuits also founded St Joseph’s College in the city. Pondicherry also has many churches. It also retains an identifiable French quarter, the ‘Ville Blanche’ or ‘White Town’. 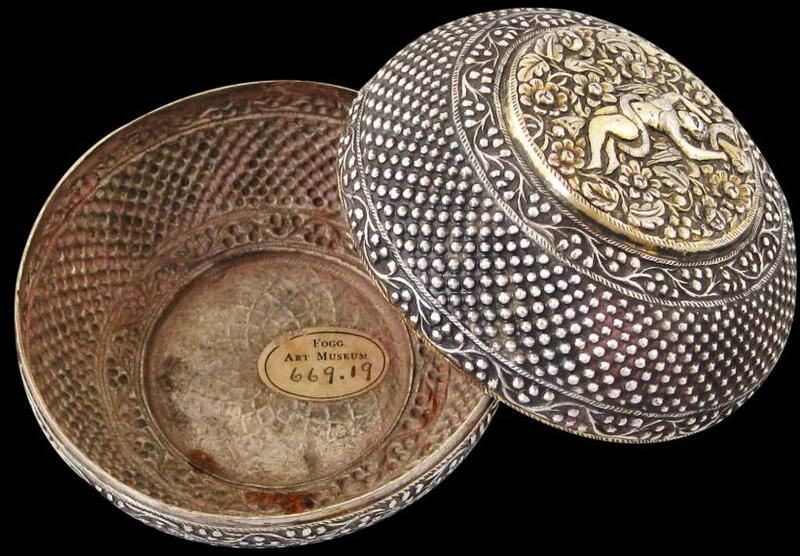 Silverwork from Pondicherry and Trichonopoly is comparatively rare. 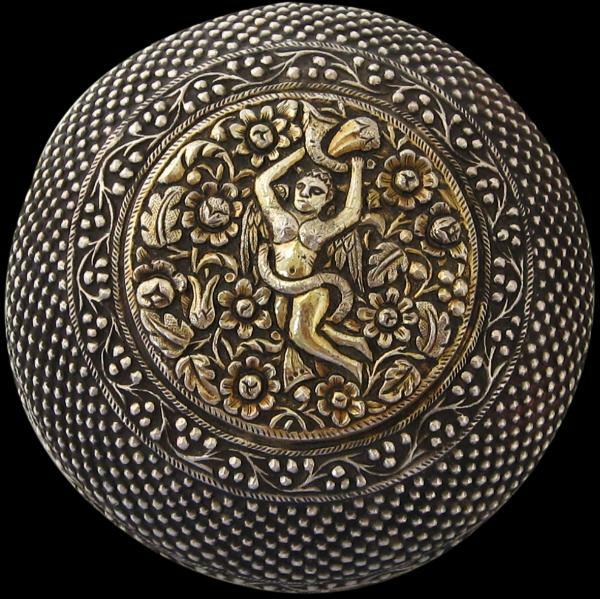 When it does appear typically it is of very fine quality, often incorporates fine foliage and floral detail with Christian and Hindu god motifs, and gilding or parcel gilding. An old label for the Fogg Art Museum with an accession number 669.19 is attached to the interior. 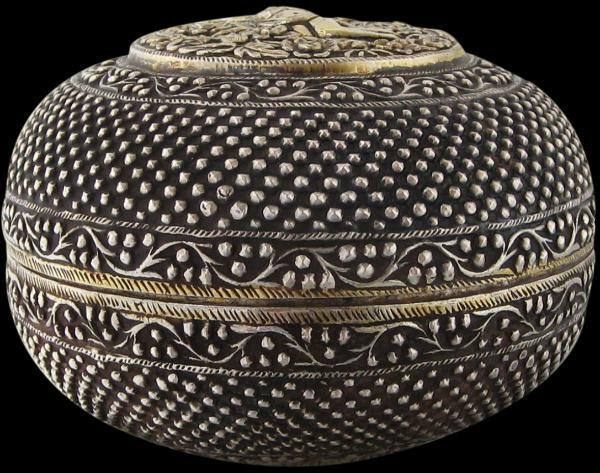 acquired from the UK art market and formerly in the Fogg Art Museum, Harvard University.